The priorities provide dimensions which will enrich the curriculum through development of considered and focused content that fits naturally within learning areas. However these cannot be defined in a prescriptive way as Australia is so diverse in climate, ecology and culture. Authentic ways to deliver these priorities have to be developed individually for each school, taking into account its students, community and ecology. Zela has assisted a number of schools to develop effective ways to embed cross-curricular priorities in ways that promote the involvement of students and their communities. These could include gardens, excursions, cooking and cultural exchange. Experience has shown that meaningfully embedding these cross-curriculum priorities reduces alienation of hands-on students, enhances the depth of understanding of all subject disciplines, especially Science and Humanities. After gaining her Master of Environmental Education degree in 2010, Zela was seconded for three years to work in the Science Sparks and Earth Smart Science projects, initiatives of the Bligh Queensland government. During this time she delivered professional development days to in-service teachers with the Queensland Department of Education and Training on employing the 5E’s pedagogy to engage students with classroom learning. 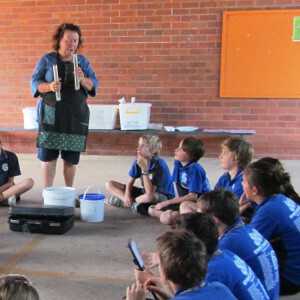 As an Earth Smart facilitator, Zela supported schools in embedding the three (3) cross-curricular priorities set out in the Australian Curriculum. See her blog page to recollections of some of the highlights of these events. After completing a Master’s Degree in Environmental Education, Zela was invited in 2011 to help develop an education unit with Indigenous elders and educators, World Wildlife Fund and Education Queensland. She employed a backwards mapping technique to work back from the knowledge and skills the elders wished the students to acquire. She then planned the learning experiences to enable the students to reach a deep, respectful and informed appreciation of the role of the Bunya tree in the traditional economy, culture and diet. 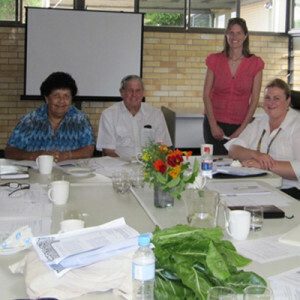 Curriculum development session with Indigenous elders from South Burnett region, WWF and BMRG developing Bunya Bounty curriculum unit 2011. Zela’s interest in conserving the endangered species of the Mary River combined with her specialised role as a science consultant for the Queensland Education Department in 2010-2011 enabled her to develop engaging learning experiences about freshwater ecosystems. Her strong relationship with natural resource management organisations lead to her being invited to work on a curriculum development project for Year 5 students attending schools in the Mary River catchment in 2013. 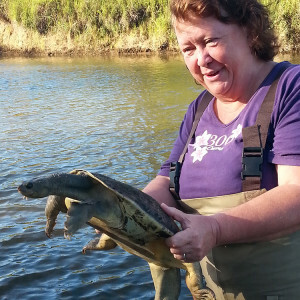 In partnership with Churchill fellow Marilyn Connell, Zela developed a full term unit about the Mary River Turtle, its habitat and adaptations to its environment, aligned with the Australian curriculum. 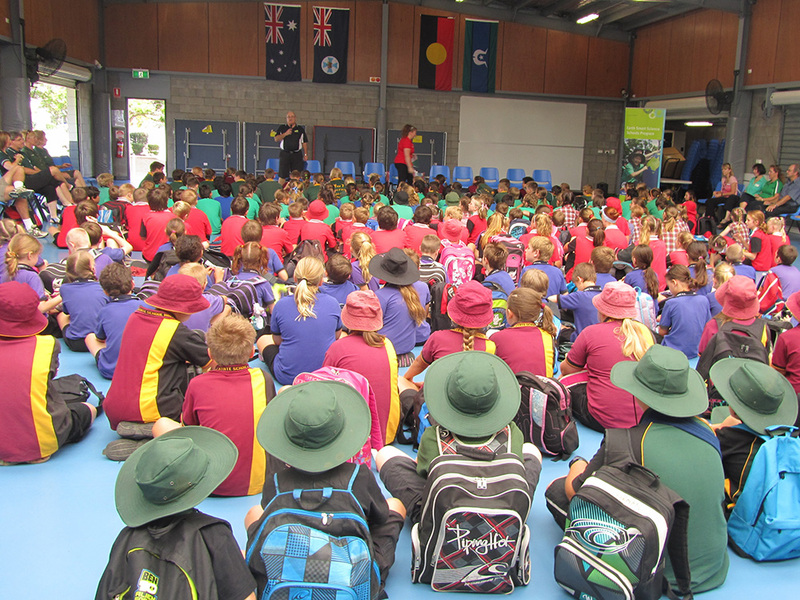 The unit has already been delivered in two state schools in the Mary River catchment. Zela releases a large adult Mary River Turtle back into the Mary River after scientific testing and tagging. Zela joined the Science Sparks project at its inception in 2010, when the Bligh state government put $50 million on the table to encourage innovation and achievement in science by Queensland students via improved science teaching. She was appointed as a primary science facilitator (PSF) after a competitive selection process. Zela used her connections with local teachers to create exciting new experiences in science for teachers and students. Her team was commended personally by then Premier Anna Bligh for their successful work in helping students and teachers enjoy science more.